anyat — different; eva — certainly; ahuh — said; vid — yaya — by culture of knowledge; anyat — different; ahuh — said; avidyaya — by culture of nescience; iti — thus; susruma — I heard; dhiranam — from the sober; ye — who; nah — to us; tat — that; vicacaksire — explained. (1) One should become a perfect gentleman and learn to give proper respect to others. (2) One should not pose himself as a religionist simply for name and fame. (3) One should not become a source of anxiety to others by the actions of his body, by the thoughts of his mind, or by his words. 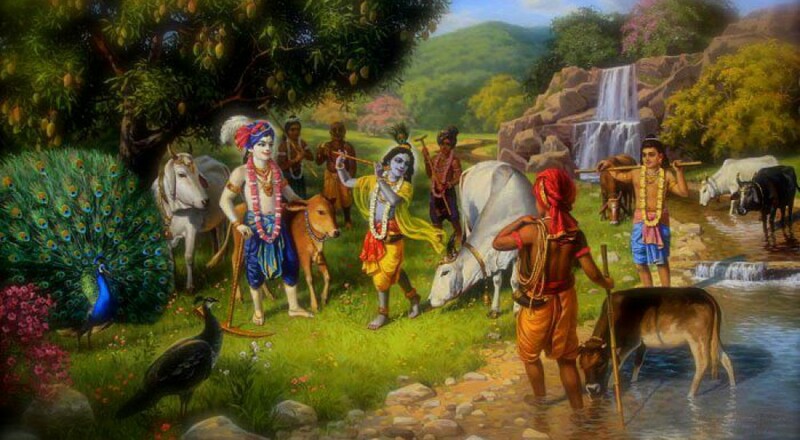 (16) One should become an unalloyed devotee of the Personality of Godhead, Sri Krsna, and serve Him with rapt attention.